My name is Anita Markova, 29 years old and a mother of a 2-year-old boy. I am an online personal fitness coach and certified Tap-out instructor. I am the founder of www.fitmama.bg and the project “FIT MAMA” – a motivation project for healthy and happy lifestyle in every period of our life. I am a mother, model, motivator, everything you need to create perfect looks and a healthy body! But let me go back in time…….. I was a sad child and I often thought that I was adopted. I had plenty of dreams but I was deprived of the possibility to fulfill them. Life thought me that if you want your dreams to come true, you have to grow every day, to count only on yourself, to work on your development and to walk a long way filled with ups and downs. I am an extremely disciplined and responsible person but also very self-critical. I dreamt of becoming an example for the others but I didn’t know how to achieve it. I studied acting, sang professionally, I was in love with sports and often trained athletics with the professional athletes. At that point, I couldn’t do it professionally so I trained to feel good and to be in good shape. I entered the gym when I was in 8th grade. I was very disoriented and everybody looked at me in a very strange way but this didn’t stop me. I did some cycling for 30 minutes and left but continued to go there and got familiar with the machines. However, I never stopped my athletics sessions. Later on, life surprised me in a very unpleasant way, something with which I had to deal all by myself. I was diagnosed with staphylococcus infection, gluten intolerance, lactose intolerance, fructose and fuzzy fruit intolerance as wells as intolerance to histamine containing foods. This was a nightmare period in my life, in which I ate only rice and cucumbers. So hunger cannot scare me. Doctors couldn’t help me. One said do this, the other do just the opposite. I started looking for a way to deal with the situation by myself. It took me 5 years of reading and searching for a solution to my “fundamental” problem “What can I eat?” All this wandering in the sea of information was very stressful – what I could eat; the way my body reacted when I excluded certain foods but included others etc. All this lead me into a vicious circle from which I didn’t know how to get out and I became sick! Bulimia…, about which almost nobody understood. I was in a world full of temptations and the inner fight with myself was horrifying. I was eating like crazy all the time, vomited and hated myself, then went to the gym to burn what was left from the food with 3-hour workouts because I couldn’t afford to look bad. This repeated every single day for 2 years. I got up during the night to eat and vomited afterwards. In the morning, again in the gym with a book in hand. I wanted to help myself – I hated my condition but I couldn’t stop. Numerous times I wanted everything to stop. It was terrible and I wouldn’t wish this to happen to anybody. I read a lot of books about juice treatment and body detox. I started to count the minutes I didn’t take any food and my aim was to increase the length of these periods. I started testing juice treatments on myself and slowly, step by step I succeeded. I got out of the vicious circle and I am the happiest person in the world. The whole way I had to walk built the person I am today and I am grateful. Not long after that, came the most beautiful period in my life – I got pregnant. Several months later, I had the urge to create something, which would leave a mark and help other people. I wanted somehow to motivate them to take care of themselves, to eat healthy and to do more sports. The world needs this. 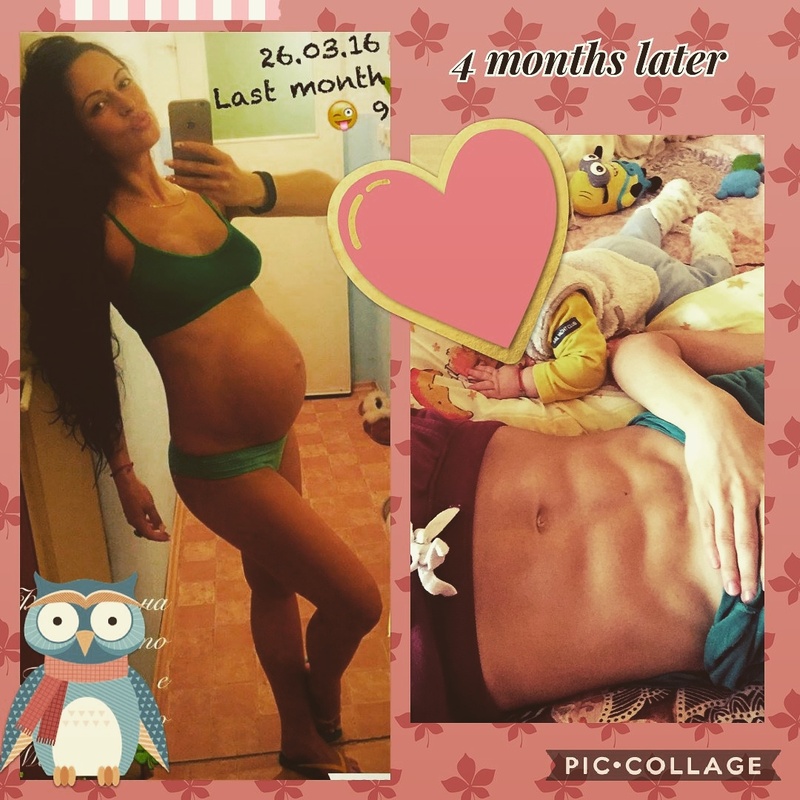 After I gave birth, I took some qualifications – personal trainer certified by Fitness Academy Bulgaria, Tap-out instructor as well as Ayurvedic qualification for specific methods and techniques for cooking. While I was breastfeeding, I studied and this was how I got the idea for FIT MAMA – my second child. FIT MAMA is much more than a mother in good shape. FIT MAMA is a fighter, innovator, motivator, multifunctional contemporary woman who takes care of her child and home, of herself and deals with all kinds of situations. She is full of energy and creates new worlds. Ever since I was a child, I have believed that I have the power to destroy the world and create a completely new one – a better world. FIT MAMA is my message to the world, that we can achieve everything. Even if there is no way out the abyss, we can build a ladder and climb – new, alive and better people. It is for every person who wants to change his old habits, to build new ones and to start a healthy and valuable lifestyle. А light and pleasant reading with useful information, which will be a present for a lot of people. www.fitmama.bg – I call it my open door to the world. A place where I give free information under the form of articles about healthy lifestyle, sport, delicious and healthy recipes for our busy daily routine, nutrition advice for pregnancy and breastfeeding periods so we keep our good physiue. I prepare personal nutrition strategies and training programs for people who want to get in good shape, programs for balanced weight gain during pregnancy and I always work in close cooperation with the doctor who monitors the whole pregnancy. I also prepare nutrition strategies during breastfeeding and for getting in shape after giving birth. I work with the catering company FIT MEAL for Sofia. I prepare the nutrition plans; they prepare the food and deliver it to the home or office of the clients. Why did I contact Kiril Tanev? – Because I wanted to go to the next level. I did a lot of research before I chose him as my mentor and I trusted my intuition. We develop on a daily basis and it is important to learn from the best. As we all know, even the greatest athletes have coaches. In my opinion, Kiril is a professional who loves his work. I didn’t know him personally until a month ago when we started our mutual work but I know that the Universe always sends us the right people, at the right moment. To me he is a symbol of the new – innovator, motivated to progress, valuable person who wants to help. He is a Mentor who deserves to conquer every peak he aspires. And I thank him! I have also set such big goals and I will achieve them, but I need the right person who is motivated as much as I am. I already know that this is Kiril Tanev. Presently, we are preparing for my first competition with which we will put the beginning of a very interesting and memorable path. The preparation is going smoothly and the results are visible. I can say that I am in a bulk period but my body fat is 7%, which motivates me even more! We have many workouts ahead of us and I believe future mutual projects with which we will be useful to a lot of people! I know that we will achieve a lot and will show to the world that the human mind is unlimited. Expect surprises because the best is yet to come.